Only the American Society of Civil Engineers (ASCE) can integrate digital and print advertising opportunities to give you exclusive access to the nation’s leading, active civil engineers. 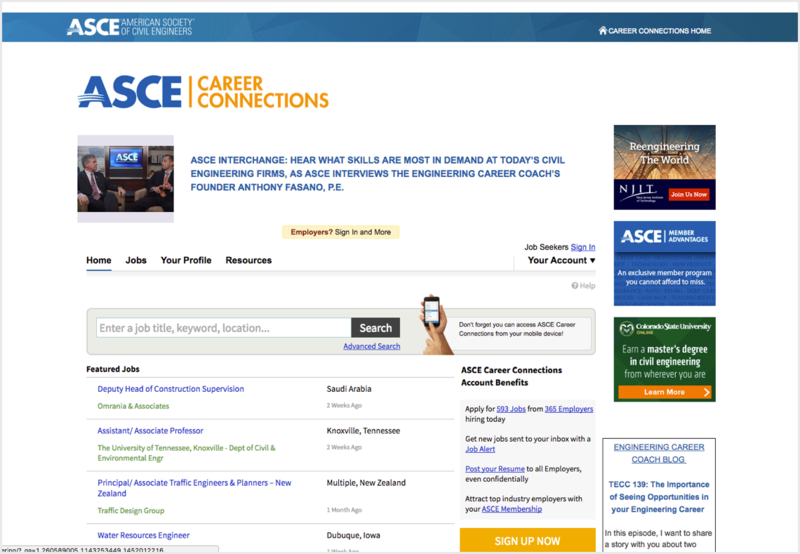 With 150,000 members, ASCE can help you reach the right audience, at the right time, with the right message. $264 Million Average Annual Budget. The premier civil engineering career center. With this platform employers are able to post jobs in real time, search the database, track online activity, and receive automatic notification of new prospects. Target a very specific audience with the possibility of reaching up to 110,000 members.